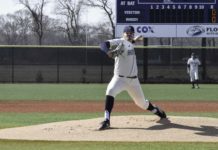 I have been to countless sporting events in my four years at the University of Rhode Island, and each season the teams have (mostly) gotten better and more competitive. The results have shown, too. Both basketball teams went from single-digit wins in my freshman year to making splashes in their conference tournaments with the future only getting brighter. The women’s basketball squad was 13-46 and 0-23 on the road from 2012-14 before deciding to not renew then-head coach Cathy Inglese’s contract. Last season the team achieved a 17-13 record and went 8-8 in the Atlantic 10 Conference under new leader Daynia La-Force and with freshman point guard Charise Wilson leading the charge. The men’s team has improved by at least six wins every season since 2012-13. This past year, Dan Hurley’s team rattled off 23 wins with a remarkable 14-2 home record before falling in the A-10 Semifinals to Dayton in a thriller. The Rams won a game in the NIT prior to a defeat at the hands of eventual champion Stanford. Hassan Martin, E.C. Matthews and Jarvis Garrett are just a few names to watch this season as the Rams aim to end their NCAA Tournament drought. The success doesn’t stop there. The men’s soccer team went 6-25-3 in 2012 and 2013 combined before a strong 2014 campaign, going 13-5-3 and 7-1 in the A-10. It would eventually fall in the A-10 Championship to Fordham, 1-0. The women’s team has had a couple successful seasons in years’ past, too, with multiple 11-plus-win seasons and a conference tournament appearance. The list goes on. 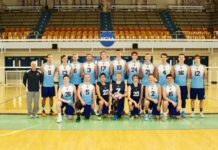 Women’s volleyball went 18-10 in 2014, a seven-win improvement from 2012, and the baseball team has returned to prominence as well after falling just a couple games short of the conference title. While all of these squads have either made incredible strides or had consistent success, one major team is left in the dust. Football has stagnated despite a head coaching change, promises to revitalize the program and opportunities to put wins in the books. It’s no secret that the football team has not been a playoff team (1985) since before a majority of the students enrolled at URI were even thoughts yet. However, their unfortunate recent history features some shocking numbers. From their first game in 2012 to their most recent matchup with Albany, a 35-7 loss, the Rams have gone 4-33 with multiple losing streaks of at least 13 games in that stretch. Unbelievably, only four of those losses were by fewer than 20 points, too. There are seven shutouts mixed in as well. I feel as though students are robbed of an adequate college football experience. I certainly didn’t come to URI with the hopes of seeing the Rams capture an FCS championship, but I expected competition at the least. Instead, I’ve seen three (going on four) different URI football teams combine to get outscored 1,322-421 over those 37 games. That’s losing every game by an approximate score of 37-12. The sample size may be small, but it really isn’t. I’ve tried to be positive with the football team’s future. The wait-till-next-year mentality, because they will be better. After a winless season my freshman year, I thought that one more year of star quarterback Bob Bentsen would put the Rams over the top. It didn’t. They won three games in 2013, but it still cost then-head coach Joe Trainer his job. I still had my junior year to look forward to, though. New head coach Jim Fleming was coming over from ranked University of Central Florida and stud linebacker Andrew Bose would still anchor the defense. Fleming is just more than a year into his tenure as coach, but the results haven’t been outstanding thus far. I think Fleming certainly has the knowledge, coaching ability and personality to revive the program though, after all, he took a moribund Sacred Heart team and turned them into champions. Even with that resume, rebuilding URI football is a seemingly larger task. Rhode Island managed just a single win last season, albeit in a close 13-7 victory over Towson in the final game of the year. That gave students more hope. The team showed they could pull together and secure a close win against a conference foe, so next year is going to be better. Well, we don’t know yet, but out of the gate URI has looked as flat as ever. The Rams began with a 47-0 drubbing at the hands of the Syracuse Orange. They followed that up with their conference-opening, 35-7 loss on the road at Albany, a team they beat in 2013 and played close in 2014. I could be wrong, and this current squad could pull it together and shock the region. History just isn’t in their favor. As just about every other varsity program has improved and excelled on a larger stage, football hasn’t. The last time the football team had a season above .500 was in 2001. It’s only won five games once since then, in 2010, when the Rams had four losses by fewer than 10 points, too. It shouldn’t be that students have to gloss over the fall and anticipate basketball season right out of the gate. There should be some reason for excitement at Meade Stadium, especially for the players. Unfortunately, there just isn’t. Head coach after head coach, quarterback after quarterback, hype after hype, URI football has been stale for most of this century.